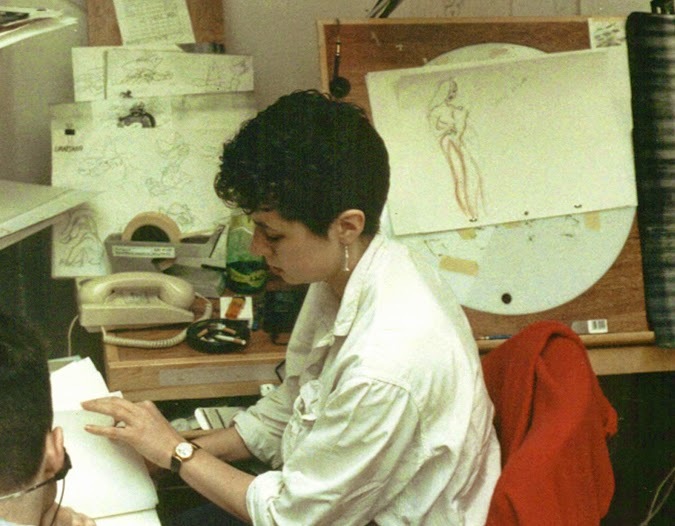 Caron Creed, animator, designer, wife and mother, died in her sleep last night. She had fought breast cancer for over a year, but it returned with a vengeance and she was taken into hospital on Sunday. Caron was a talented artist and huge fun to be around. On Who Framed Roger Rabbit?, where I met her, she was always the first to lead a friday night expedition to the local pub, and then beyond to the Camden Palace, where "Rabbit" animators unwound after a week of toil. She was did excellent work on the lead character Jessica Rabbit, one of the most challenging characters on the movie to draw - let alone to animate. Russel Hall, who designed Jessica's final look, set a high bar, but Caron met the challenge and produced many beautiful shots. It was on Roger Rabbit that she met her husband Andrew Painter, with whom she had two children. 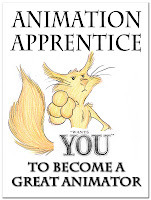 Andrew, like me, worked as an assistant animator on the film, doing his level best to keep up with the prodigious output of lead animator Simon Wells, who was legendary for producing huge volumes of work for his assistants. Later, Caron worked at many boutique London animation houses like Hibbert Ralph, doing adverts and commercials for TV. But I will always remember her as the animator who brought Jessica to life. Labels: 2D Animation, Caron Creed, Jessica Rabbit, London Scene, obits, Who Framed Roger Rabbit? I went out with her in my foundation year and remember her very fondly. Very funny and very kind and one hell of a drawer, we were all jealous of her seemingly effortless talent.